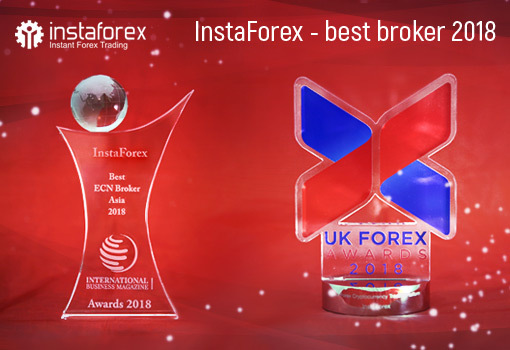 InstaForex was recognized as the best forex platform for trading cryptocurrency according to the UK Forex Awards, and the best ECN broker in Asia according to the International Business Magazine. The competent jury carefully studied the activities of each company. And we are especially proud that experts have appreciated our platform for trading cryptocurrencies, the number of cryptocurrencies available, trading conditions, and popularity among traders. We are pleased to receive these awards and are grateful to our partners and customers for choosing our company. InstaForex has been the best broker in Asia providing high-quality online trading services for many years. This entry was posted on Thursday, November 15th, 2018 at 11:20 am	and is filed under Important Announcements. You can follow any responses to this entry through the RSS 2.0 feed. You can leave a response, or trackback from your own site.